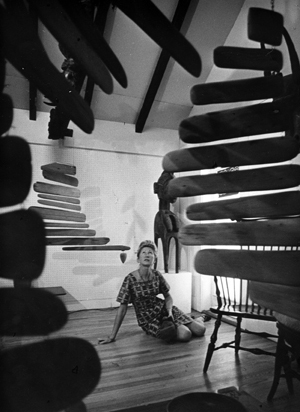 Geneviève McMillan created a unique collection, nurtured over sixty years, of African and Oceanic sculpture and objects of daily use, textiles and jewelry, which was housed on two floors of her residence near Harvard Square, the heart of Cambridge, Mass. The collection contained more than one thousand five hundred objects. In addition, there were works from the Native American realm, India, and other parts of the world, along with paintings, prints, and photographs by McMillan’s artist friends. In their entirety, McMillan’s African and Oceanic holdings revealed the aesthetic vision and particular taste of an independent, enterprising, and free-spirited woman. More importantly, following the paths of the objects McMillan selected over the years, and the ways in which they arrived in Cambridge, illuminated their production, use, and meaning in different settings as well as changes in object trade and collectors’ taste. Thus, the collection in its entirety offered a perfect lens through which to discern not only the larger processes that influenced African and Oceanic art in the second half of the twentieth century, but also the role the works themselves played in those developments. A catalogue by Christraud M. Geary and Stephanie Xatart, entitled Material Journeys: Collecting African and Oceanic Art, 1945-2000. Selections from the Geneviève McMillan Collection accompanied a 2007 exhibition celebrating McMillan’s gift of 234 African and Oceanic pieces to the Museum of Fine Arts, Boston, and traced these multiple histories.